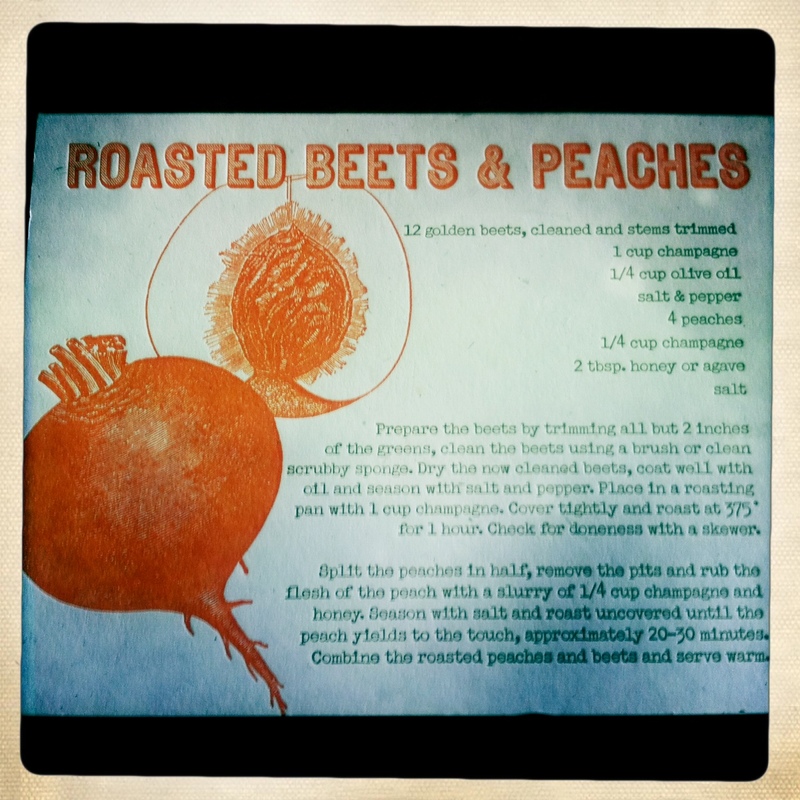 i received a lovely card from my friend dana recently that had a recipe for roasted beets and peaches. 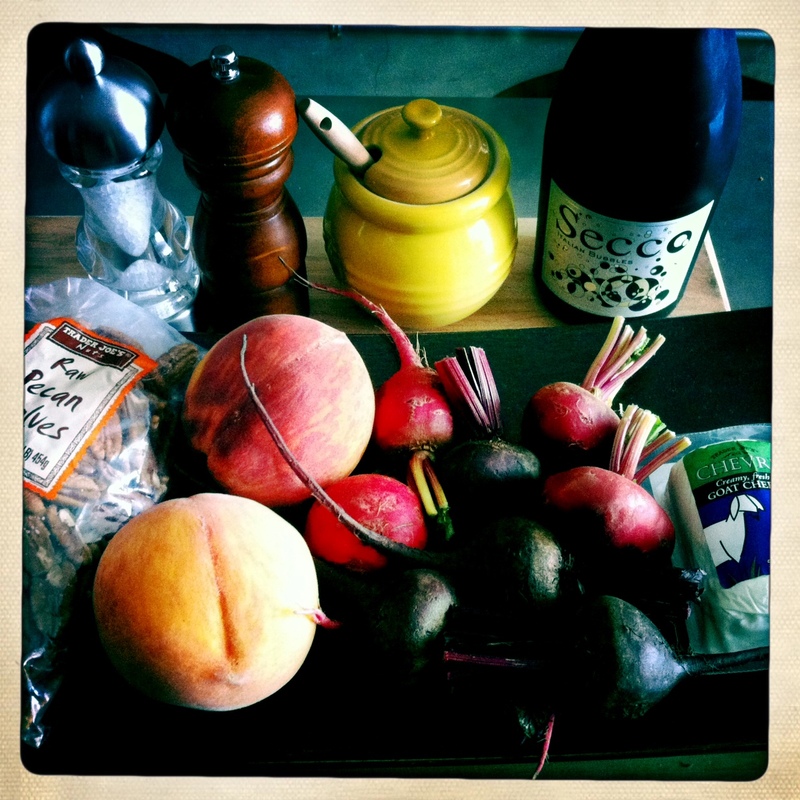 not only did i think it was a wonderful gesture, the recipe intrigued me. 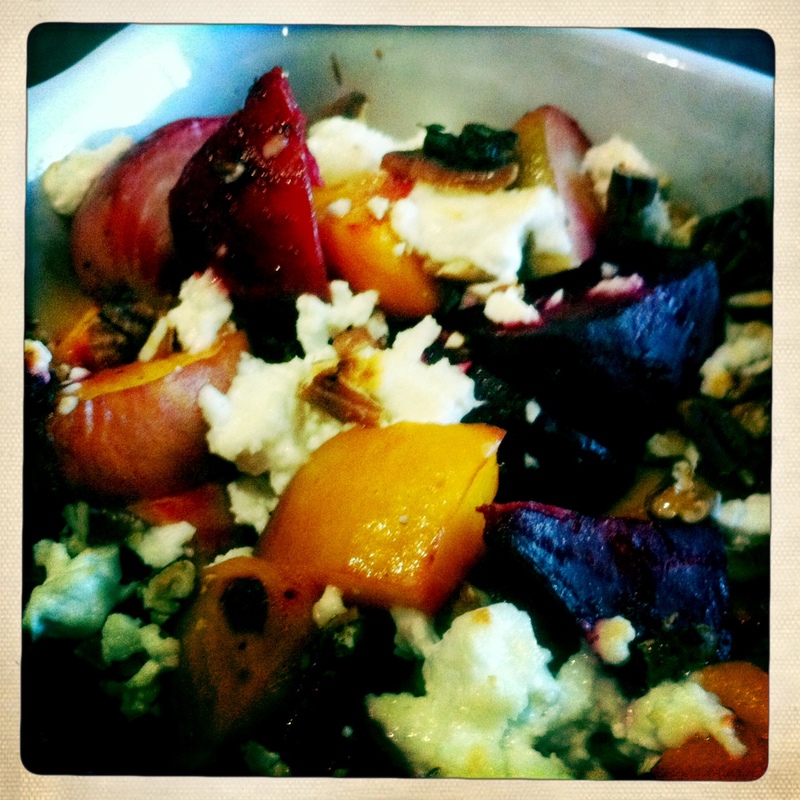 i decided to take it one step further and add goat cheese and nuts. i chose pecans for this attempt, because it was what i had on hand, but i think walnuts might be a better option in the future. 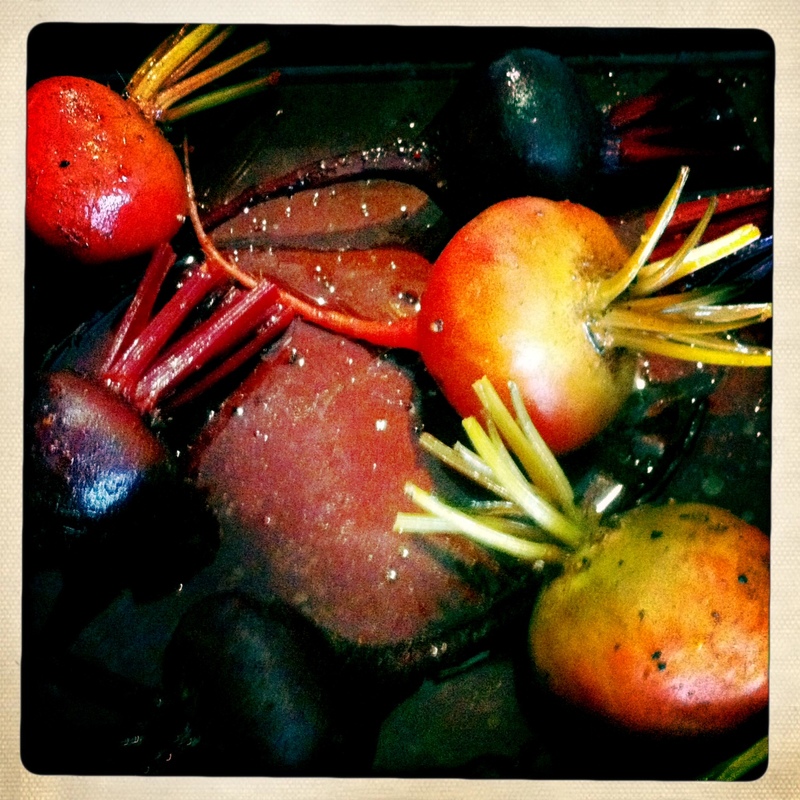 also, it called for golden beets, which i couldn’t find at the hollywood farmers market this past weekend, so i decided to do a mix of red and purple. the red one’s actually turned out to be more golden on the inside anyway, and the purple ones complemented the deep red flesh near the pit of the peach. prepare the beets by trimming all but 1-2 inches of the greens, clean the beets throughly with a vegetable brush if needed. dry them and coat them with olive oil. place them in a roasting pan and season with salt and pepper. pour in 1 cup of bubbly. cover tightly with aluminum foil and roast at 375º for about 1 hour. you can check for doneness with a knife. 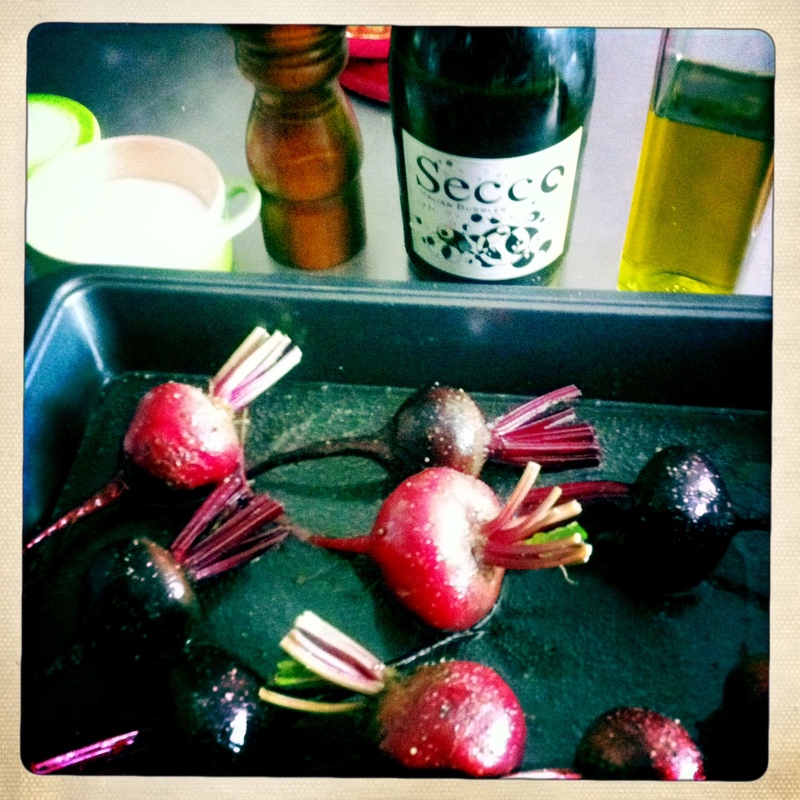 let cool enough to remove the remaining stems, and tails of the beets. 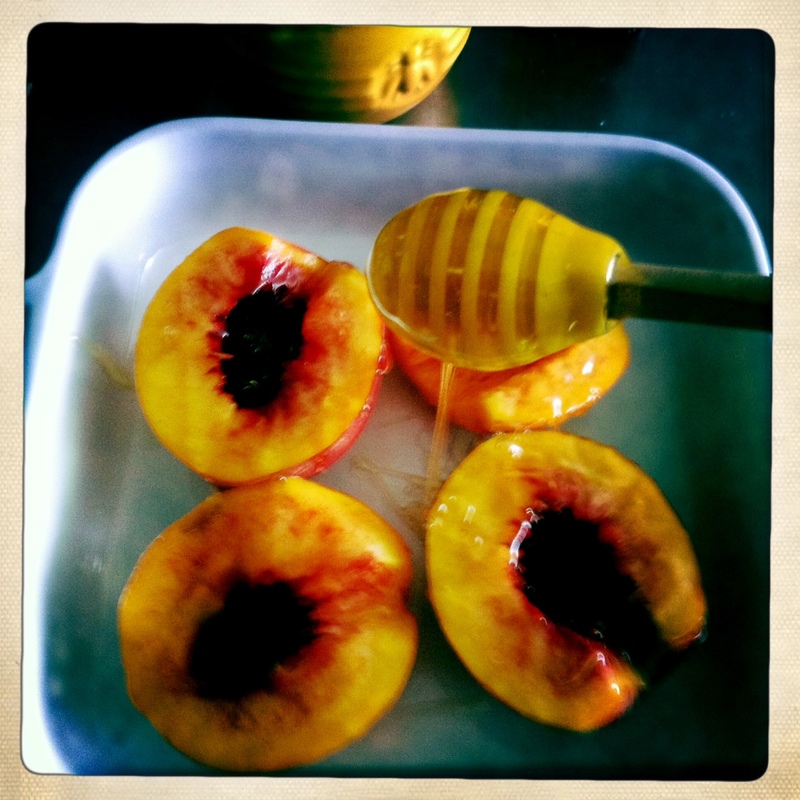 while the beets are roasting, cut the peaches in half and remove the pits. rub the flesh with 1/4 cup of the bubbly, place in another roasting dish, and drizzle with honey. season with some salt, and roast uncovered for 20-30 minutes. once both pans are out of the oven, turn on the broiler. 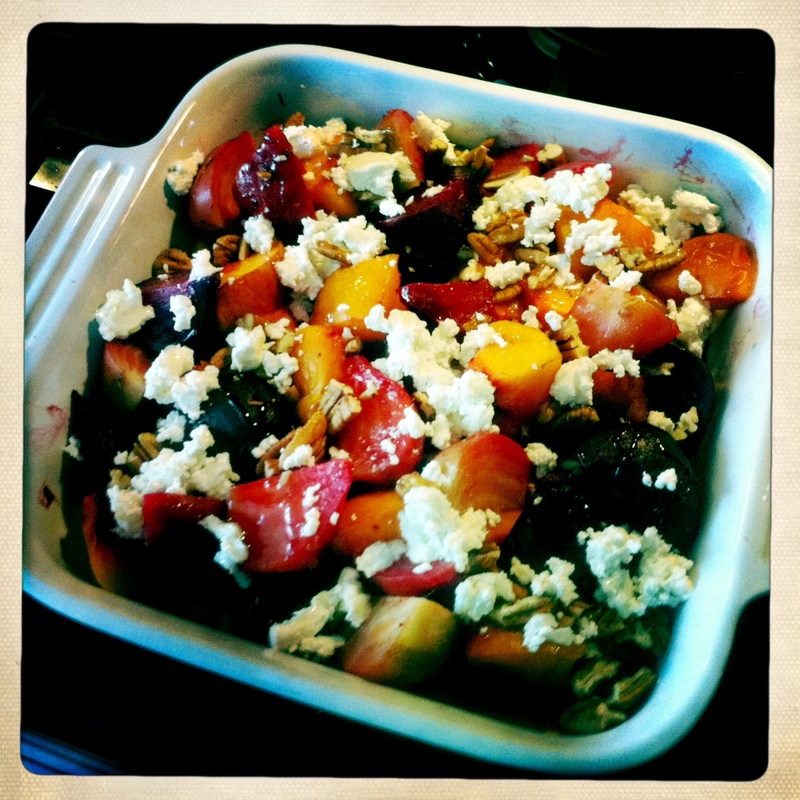 slice the beets and peaches into large chunks and combine into one of the roasting dishes. toss in the nuts, crumble the cheese over the mixture, and drizzle a little more honey over the top. put it under the broiler until the cheese is melted slightly and a little golden brown, about 3-5 minutes, keeping an eye on them so as not to burn. this would go well as a side dish for pork or beef. that looks amazing! 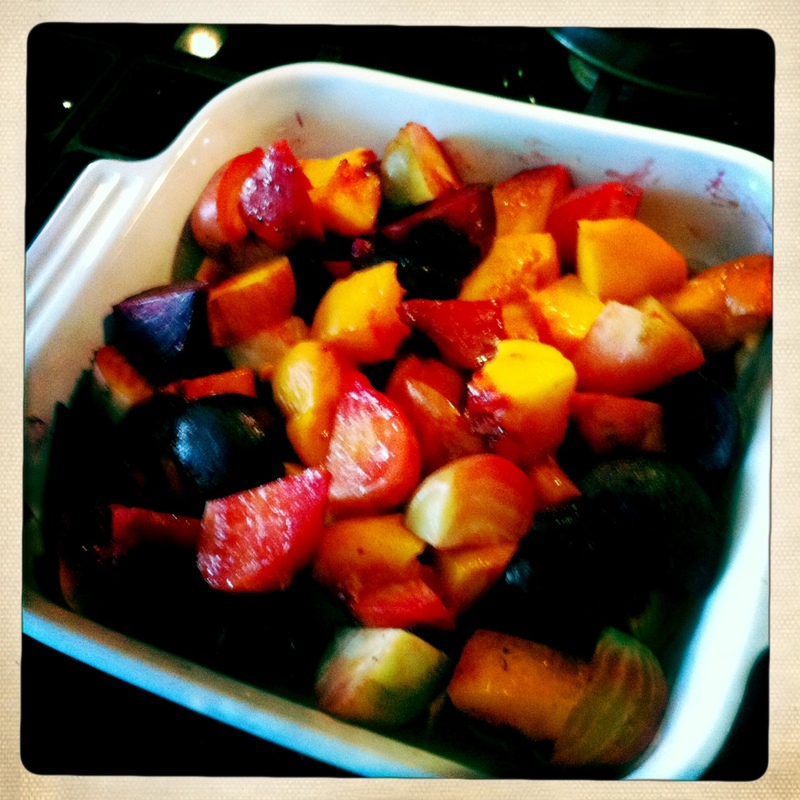 I love beets, never would have considered them with peaches and honey…yum.